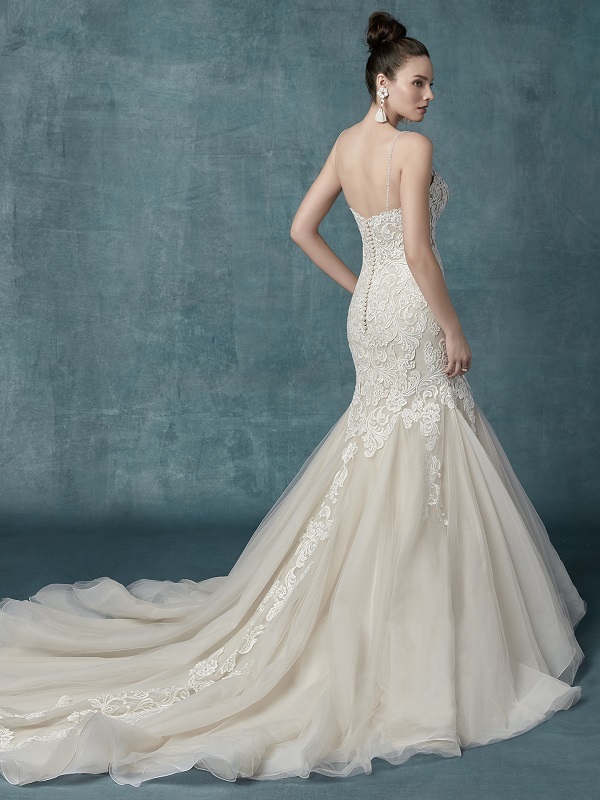 This glamorous fit-and-flare wedding gown features a bodice of lace motifs and sheer detailing, drifting into a tulle skirt trimmed in horsehair. 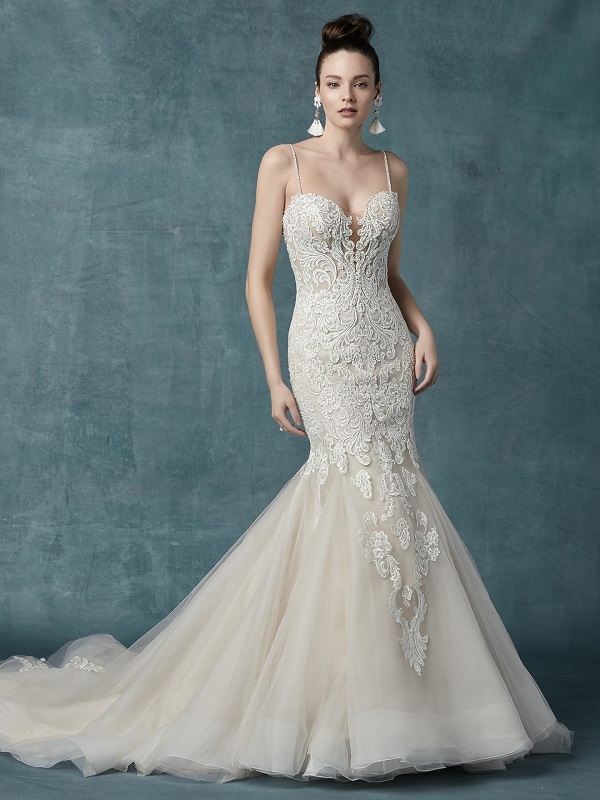 Beaded lace motifs adorn the illusion plunging sweetheart neckline, while beaded spaghetti straps glide into a sheer back accented in lace motifs. Our sample is a UK12 in antique ivory.